Mini-XML 3.0 is a major release that changes the license to Apache 2.0 with exceptions for linking to GPL2-only code, hides the definition of the internal mxml_node_t structure, removes the “mxmldoc” utility (which is now maintained in the separate “codedoc” project), and fixes several bugs. This release of codedoc improves markdown and HTML support. This release of mmd adds support for referenced links, additional inline text markup, and hard line breaks. HTMLDOC 1.9.5 fixes some GUI, markdown, and EPUB issues. 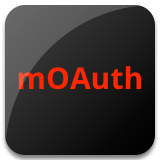 mOAuth 1.1 adds support for dynamic client registration and PAM-based authentication backends. This release of mmd fixes some problems found with Clang static analyzer and with the mmdutil program. 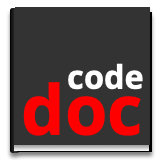 This is the first release of codedoc, a replacement for the mxmldoc utility that was provided with Mini-XML with several enhancements and bug fixes. Mini-XML 2.12 fixes several bugs, updates the build system on macOS and Windows, and updates the markdown and EPUB support. HTMLDOC 1.9.4 fixes a font sizing bug and reduces startup time. I’ve posted updated HTMLDOC and RasterView binaries for macOS to Github that fix a library dependency issue reported by some users. RasterView 1.7.1 fixes a crash bug on macOS. RasterView 1.6 fixes support for 16-bit per color files, adds support for gzip’d files, and changes the license to the Apache License Version 2.0. HTMLDOC 1.9.3 fixes some formatting, markdown, and build issues on specific platforms. This release of mmd adds the mmdCopyAllText function and a new conversion utility called mmdutil. HTMLDOC 1.9.2 fixes parsing of HTML 4.0 tables and adds support for markdown tables. 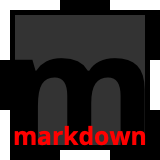 This release of mmd adds support for the common table extension to Markdown and is provided under the terms of the Apache License Version 2.0. 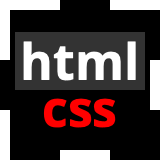 HTMLDOC 1.9.1 is primarily a bug fix release that also adds limited support for UTF-8. Mini-XML 2.11 fixes a number of bugs, adds support for reproducible builds, cross-compilation, and enumeration of element attributes, and adds support for generating EPUB documentation using mxmldoc. 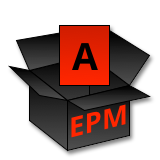 EPM 4.4 is a maintenance release that fixes RPM packaging and several build issues. 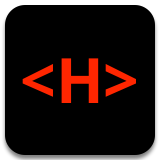 HTMLDOC 1.9 is a limited feature release that adds support for Markdown input and EPUB output. mmd v1.0 is a miniature markdown parsing “library” consisting of a single C source file and accompanying header file. mmd v1.0 mostly conforms to the CommonMark version of markdown syntax and supports a couple (otherwise undocumented) CommonMark extensions. 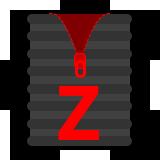 zipc is a simple ZIP container “library” consisting of a C source file and accompanying header file. Version 1.0 implements writing of ZIP containers with files smaller than 4GB. Files can be stored as-is or compressed with deflate (gzip) compression. Updated documentation to reflect new project page on Github. Dropped old CDE and IRIX desktop integration files. Cleaned up the GUI and adopted new default text editors for Linux and macOS. All of the bug reports from the old server have been migrated to the Github issue tracker. I have moved the main msweet.org web site and projects to Github in order to spend less time maintaining servers and more time programming. All of the recent releases are already available in the corresponding Github projects, and I will be migrating the bug reports to the Github issue tracker over the next couple days. In lieu of mailing lists, please use the Github issue tracker to ask questions or report problems with the new web site. Mini-XML 2.10 fixes some stack overflow, XML, and API issues. HTMLDOC 1.8.29 fixes some known build and formatting issues, updates support libraries, and drops support for OpenSSL. The new release fixes several issues on Linux and OS X and adds support for signed packages. 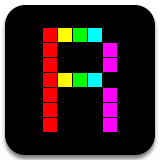 RasterView 1.4.1 fixes builds on Linux and includes binaries for OS X and Linux. RasterView 1.4 adds support for viewing Device-N files and improves the display of PWG Raster page attributes. Mini-XML 2.9 fixes a bug in the mxmlLoad* functions when using the default (MXML_NO_CALLBACK or MXML_TEXT_CALLBACK) callback. 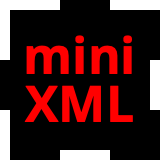 Mini-XML 2.8 fixes some minor platform and XML issues.